This tour’s highlights: The Theater - Museum of Salvador Dali, Jewelry Museum, Medieval Rome city of Girona, Bodega visit - Spanish wine and delicacies tasting! 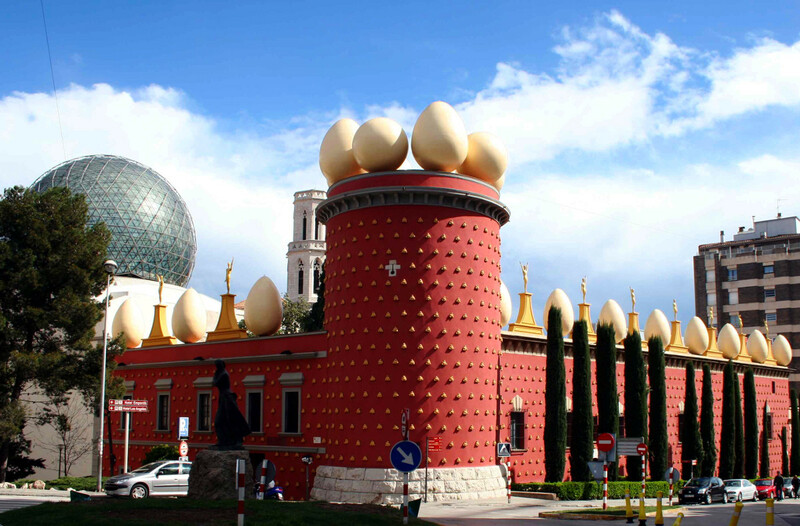 The name of the genius Catalan painter Salvador Dali is known throughout the world. He was one of the few recognized during the life painters and one of the richest artists of the 20 century! Do not miss out on an excellent opportunity to get acquainted with the life and creative bizarre of his! The most complete view of the legacy of the “art wizard” you will get in the theater and the Museum of Salvador Dali in Figueras. There are displayed many of his famous paintings, graphics, sculptures and unique jewelry items. The number of tourists visiting the Theater Museum of Dali outnumbered the visits even to the Prado Museum. You will be amazed to see: the depth of thought in his first works, Dali’s amazing brush skills, provocative and surreal episodes, and paranoiac-critical riddles in his works. Genius or a mad man – you will get a chance to decide it for yourself. The medieval city of Girona - second largest city of Catalonia, it is a city of contrasts, legends and riddles, water and stone, light and shadow. We will walk to the historic center through the narrow medieval streets, where the filming of the famous movie “Perfume: The story of a Murderer” was taking place. On the tour you will see the unique Cathedral, Palaces, gardens, churches, the ancient Arab baths, and bridges over the quiet river Onyar. You will visit the Jewish Quarter and learn about the life of the Spanish Jews. Also you will be given some free time to enjoy and further explore the city. And for the final stop we will head to the Spanish Bodega, where you will get a chance to try all kinds of Spanish wine, jamon, cheese and sweets! (Included in the price). Free time: 1.5 hours after the visit to the museums.